Carnegie Mellon University attracted a record-breaking 24,351 applicants for admission to the Class of 2022, a 19 percent increase over last year's pool. It is the largest year-to-year increase and the most applicants in the university's history. The growth in applicants spanned all six of Carnegie Mellon's undergraduate colleges, with Dietrich College of Humanities and Social Sciences specifically showing an increase of 29 percent. 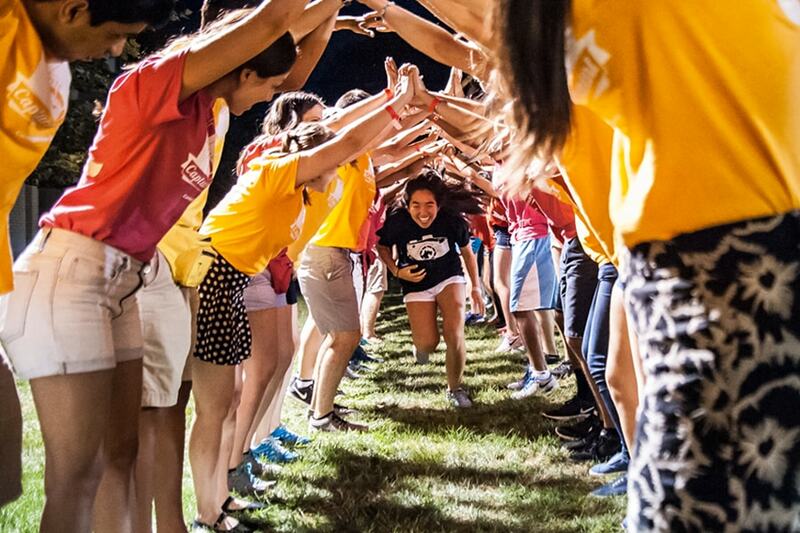 Pictured above: Students participate during Playfair in August 2017, which is part of CMU's annual orientation activities.